Cozy Chicks: What’s in a Name? I’ve had names on my mind lately. I’m working on three proposals (cross your fingers, okay? ), and of course I have lots of characters. I can’t help myself. All my books have tons of characters—and those people need names. Two, really. First and last. This isn’t an easy process, coming up with a name. The name needs to match the personality. It needs to roll off my tongue. It needs to fit. Oftentimes, there’s something that clicks within me when a name is perfect. But where do I turn to find these names? Everywhere. 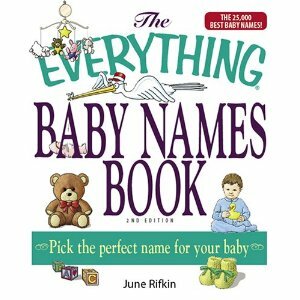 From TV to phone books to major league baseball rosters to baby name books (and name generators) to the orthodontist. The orthodontist??? Yep. You read that right. I was at the orthodontist yesterday with son # 2, and the girl who was in the chair next to him was named “Demetria” and her nickname was “Mimi.” It clicked. I will, at some point in the future have a character with that name. No idea who she is just yet, but she’s there. 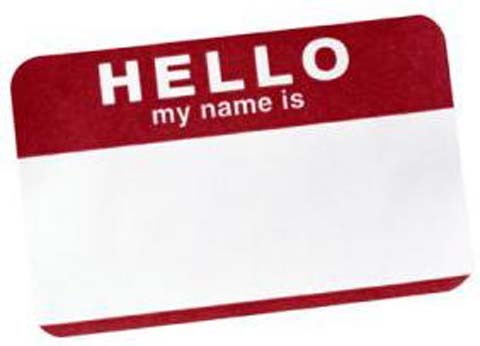 I think you are on the right track in collecting names as you go about your daily business. I love collecting business cards and reading people's name tags. I find all sorts of interesting names and spellings that way. When I get desperate I've been known to resort to sticking pins into phone book pages. Someone once recommended alumni directories. And some characters just seem to name themselves--every now and then you have to throw in a Fred or a Susan. One of my favorite names is Philomena Heffernan--a real person, who was a B&B manager I met in England. I've kind of borrowed it (her?) for a new character, Arabella Heffernan. My grandmother's name was Ara (pronounced A-rah) Atherton. I always liked the alliteration there. Cassandrajade, I have a whole bin of business cards--I'll have to sort through them for inspiration--thanks for the idea! Wendy, I have an author friend who works at a hospital, and she steals names from patients. Have to say, I'd probably do the same in her (and your) shoes! LOL. Sheila, I love when characters name themselves. Makes my job so much easier. Riva, I love that name (and yours too). Alliteration is a fave of mine, too. One of the funniest character names I've ever seen came from an episode of The Simpsons. Homer, imagining himself as a superman type, saw a warning sign posted at work "Max Power" as in, maximum power. So that was his name. Max Power. I love it! I usually got to Babynames.com. That is my help. One of my favorite names was from a person who worked in my field but in a different city: Herm Pearlmutter. Female: Macy, Blaise, Evanna, Savannah, Ashtyn, Kaia, Julieta, and Jordyn. Male: Kai, Cody, Caiden, Elijah, and Zane. I never use my grandkids' names when I write because I don't want them comparing characters, but I really like all their names: Drake, Gretchen, Cooper, and Lily. And then there are my grandparents: Chester Delbert, Edith Agnes, Gertrude Isabella, and George. I like unique names, especially when there's a story behind it. The name has to match the age of the person, so I like consulting those websites that give the 100 most popular boy and girl names for every year. Then, once I choose a name that fits my character, I consult any place that lists lots of surnames to find the right one. My cat's name is Sarah; my cars are named Fred, Lucy, and Sophia, because they fit. I named my youngest daughter Shoshana, because she looked like one. She still does, too. I like unusual names, always strange to read about a character with your own name! But be careful the names don't have a specific meaning in another language! I have a collegue who named her daughter Feline, which is a lovely name, but not if you like reading shapeshifter books! Aurian (yes, borrowed from my favourite books way back). Tallulah has always been a favorite of mine. When I was little I wanted to change my name to Amambe Tiffany (it's pronounced just like Bambi but with an "A") and yes I made that name up! Have fun, I love coming up with unique & quirky names! I have a couple of favorites for you. Zachariah is also a strong name. I like to mash otgether names from random name generator web sites and I use first or last names from my kids' school directories. It's tough because I try to keep my names Southern and if your new towns are in a specific location, that may play a role and keep you limited. I think you did a great job with names in the Lucy books. But I am a big fan of LucyD! I once had a student named Cullen and I really liked the name, but now people will think I am getting it from Twilight..bummer! There are some fantastic option here--thank you all so much! I'll definitely be using some of these. Afton, Garrett, Lucas, Gretchen, Patrick, Sullivan, and Priscilla are some of my favorites. I work for the Attorney General of Texas in child support and wow, do we see the names!! I remember one time a woman named her kids Dillard and Foley. (Obviously a shopper as 2 of our major department stores at the time were Dillard's and Foley's). I own a Scottish store so of course, I'm partial to Celtic names (Fiona, but my own children are Rachel and Joshua (prior to my involvement in my Scottish heritage). Grandchildren are : Kayla, Collin, Anastasia, Devon, Dorian, Jarreth, Jonathan & Zachary. Expecting another one, but no name selected yet. My former MIL's name was Athalene, and we shortened that to Lene. My mother's name is Jean Marie (that is her first name) and my sister named her daughter Genevieve Jaree (combination of mom's first name). Interesting names here at work are LaTreyla, Allilia, Lilliana, Lashanna, America. Watch for initials, though -- my grandfather was Robert Aloysius Gold (RAG), and my goddaughter's initials are EKG (not noticed until later). Cool last names are Uribe, Trifiletti, Doerpinghaus, Chraska, Viars, Pirtle, Wilkosz, Tozser, Haessig. I'm looking at the org chart and see Ms. Irmtraud Washburn. There's a name!